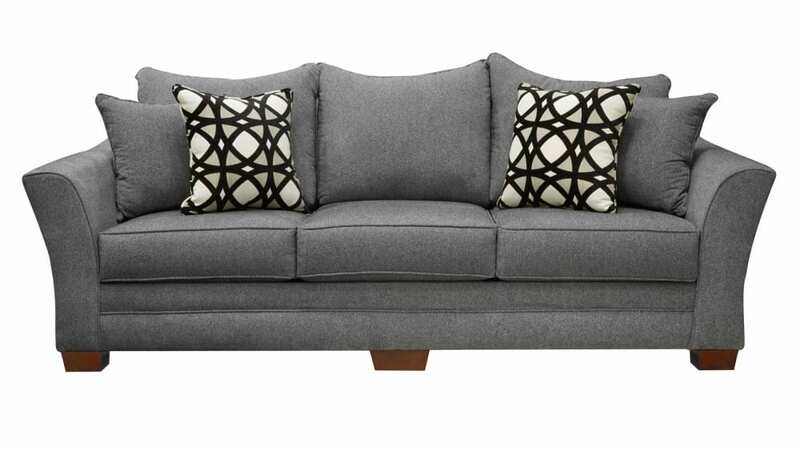 Create a contemporary look with a cozy, inviting appeal in your home with this sleek, Made in America sofa. Clipped rolled arms, a curvy pillow back, and matching pillows offer a cosmopolitan style, while maintaining a friendly, cozy appeal. Slightly tapered block feet add to the modern style.